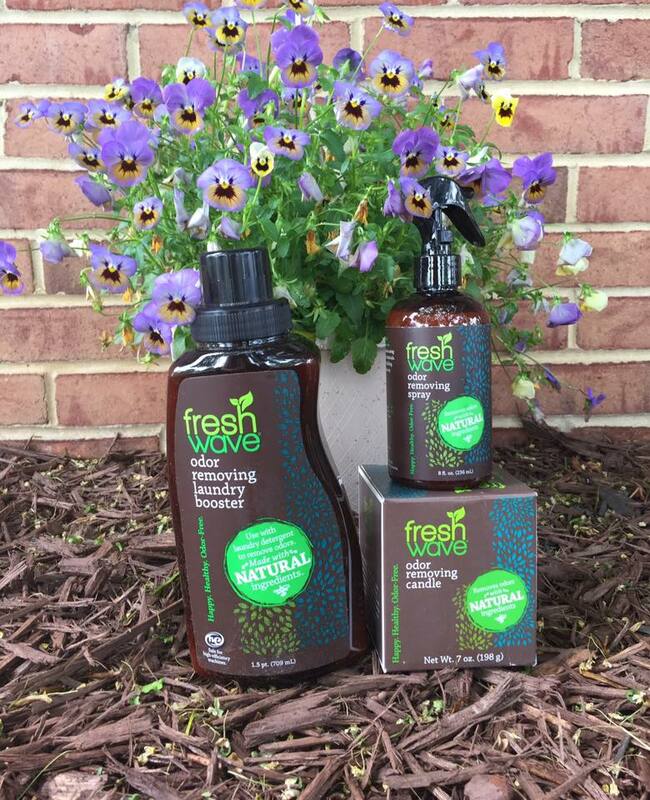 A Sampling Bee: Mother's Day Giveaway From Fresh Wave! Mother's Day Fresh Wave Giveaway! Hello! I am sharing an awesome giveaway with you today! Fresh Wave has allowed me to host a Mother's Day giveaway! One winner will receive a special prize pack! Contest ends on Mother's Day May 14th! Enter below! Fresh Wave's Odor Removing Candle(1) is perfect for removing odors caused by cooking, smoke, pets, etc. This awesome candle burns cleanly. It's free of phthalates, sulphates and parabens. Fresh Wave's Laundry Booster(1) removes difficult, set-in odors from your laundry. Just add 2-4 cups into your washing machine during the wash or rinse cycle. Use also for stinky pet beds! Fresh Wave's Odor Removing Spray(1) removes odors in just seconds! Use this spray on pet beds, carpeting, clothing, trash cans, etc. I'd love to try the spray or the candle! I would like to try the Fresh Wave Odor Removing Spray. I have a teenage boy who's room seems to ALWAYS stink! I would love to try Fresh Wave's Odor Removing Candle. i bet it it smells heavenly. 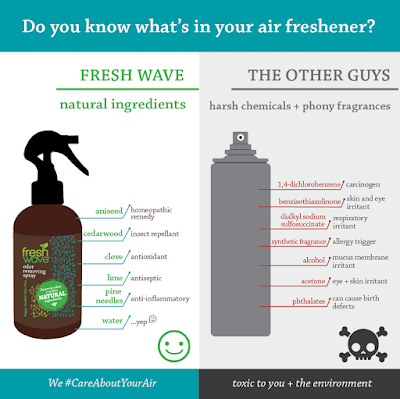 I'd love to try the Fresh Wave's Odor Removing Spray. Thanks for the opportunity and chance to win. I'd like to try the Fresh Wave's Odor Removing Spray. I have pets so this would be a nice product to have. I want to try the odor removing spray!